Forbes Pharmaceuticals is an internationally recognized manufacturer, wholesale supplier and exporter of a wide range of inorganic compounds such as potassium metavanadate, ammonium meta vanadate, ammonium para tungstate etc. Impeccably manufactured to perfection, our inorganic compounds are widely used in diverse industries all over the world. They are offered by us at industry leading prices. 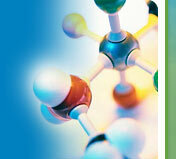 Bromine Compounds are a ubiquitous element found in the environment and is highly volatile liquid. These compounds have a suffocating odor, are corrosive, and vaporize swiftly at room temperature. These are a strong oxidant especially in the presence of water and are freely soluble in water, chloroform, alcohol, ether, carbon disulfide. Extensively used in pharmaceutical and pesticide industries, these compounds are less reactive than chlorine but more reactive than iodine. Palladium Coumpounds does not react with oxygen at normal temperatures. Because of their corrosion resistance, the main use of these compounds is in alloys used in low voltage electrical contacts. We provide useful catalysts for organic transformations to make a broad range of organic compounds such as agrochemicals, pharmaceuticals, and organic materials for a variety of applications. Appearance : Red crystalline powder. Assay : 99.5 % Min. With formula Ba O2 , Barium Peroxide is a grey-white crystalline solid. This white solid is one of the most general inorganic peroxides that are used in making hydrogen peroxide and in pyrotechnics. It is an oxidizing agent that is extensively used for bleaching and as an oxidizer in fireworks. Further, this chemical gives a vivid green color upon ignition and avoids breathing dust. Appearance : Off white to buff colored powder or crystalline powder. Barium Hydroxide is used in wastewater treatment, the making of lubricants, PVC stabilizers, and the manufacturing of additional barium salts. This is a white odorless, crystalline powder and can be harmful to man. Corrosive to skin, eye, and respiratory tract, this chemical is less toxic to the environment. 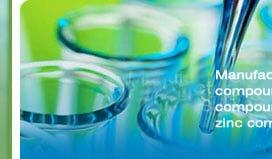 With high water solubility, it is not volatile and has no flammable or explosive properties. The chemical is stable and is sensitive to air. Cuprous Oxide is the inorganic compound with the formula Cu2O. Insoluble in water and organic solvent, this is formulated by electrolysis method. This chemical is generally used as fungicide, pigments and an antifouling agent for marine paints. Further, it is also used in agricultural fungicide, seed dressing; colorant for porcelain, in mineral supplements adjacent to lack of copper in the diet of animals, glazes and glass. Heavy Metals (pb) : Nmt 10 PPM. Copper Nitrate, Cu (NO3)2, is an inorganic compound which makes a blue crystalline solid. It occurs as five diverse hydrates, the most general ones being the trihydrate and hexahydrate. Also known as cupric nitrate, this is soluble in water as well as alcohol. Extensively used in light-sensitive papers, textile dyeing, paints, and as a catalyst in pharmaceutical preparations, it is highly effective in nature. In addition to this, this is also used as a basic green patina. 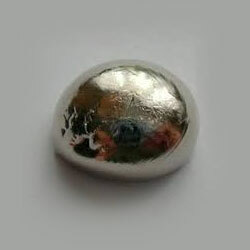 Nickel Chloride is an outstanding water soluble crystalline nickel basis for uses compatible with chlorides. This chemical is used for plating and can be decayed by electrolysis to chlorine gas and the metal. Highly soluble in water, it is highly pure and is suitable for use in a chloride bath. 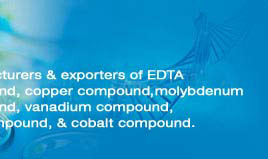 It accelerates the dissolution of anode metal nickel, whilst working to enhance the electrolyte level of the solution. Appearance : Light Green crystalline Powder. Titanium Suplhate Ti (SO4)2 is a colorless or violet colored liquid. Dilution discharges heat and might lead to precipitation of solid titanium sulfate. 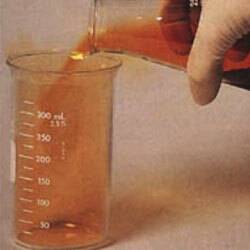 This is corrosive to metals and tissue & is widely used to make pigments and in dyeing. When heated to decomposition, the chemical emits toxic vapors of SOx and Ti. Further, it is also used as a mordant and in the pharmaceutical industry. Non-combustible, the chemical is harmful at the time of inhalation, ingestion or skin contact. Extensively used for treating agent for surface of metal and marble, Potassium Titanium Oxalate is highly effective in nature. With molecular formula K2TiO(C2O4)2.2H2O, this chemical is white crystal powder. It is widely demanded for dyeing and printing, metallurgy, organic synthesis, pharmaceuticals, light industry, electron industry, analysis reagent, raw material for chemicals and many more. This is strong oxidizing agent and is stable under normal pressures and temperature. White crystals appearance, 3-Methoxy Benzoic Acid id a flavouring ingredient for foods, Highly soluble in boiling water and organic solvents, this acid is a food additive. Belonging to the family of benzoic acid and derivatives, this acid contains carboxylic acid substituent attached to a benzene ring. Very effective in nature, this acid is extensively used in pharmaceutical intermediates.